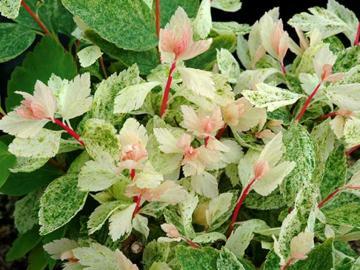 Deciduous shrub with graceful arching branches and small leaves mottled green and cream with pink tints and stems, becoming greener as they age. Umbels of white flowers are borne along the branches in June. Smaller and slower growing than the species. 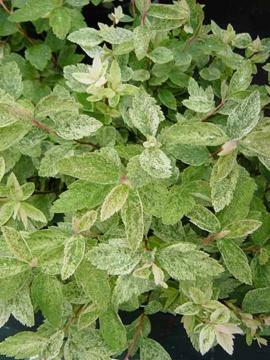 Any reasonably fertile soil in sun or shade. Prune out any branches with reverted foliage and trim in spring to encourage new growth.